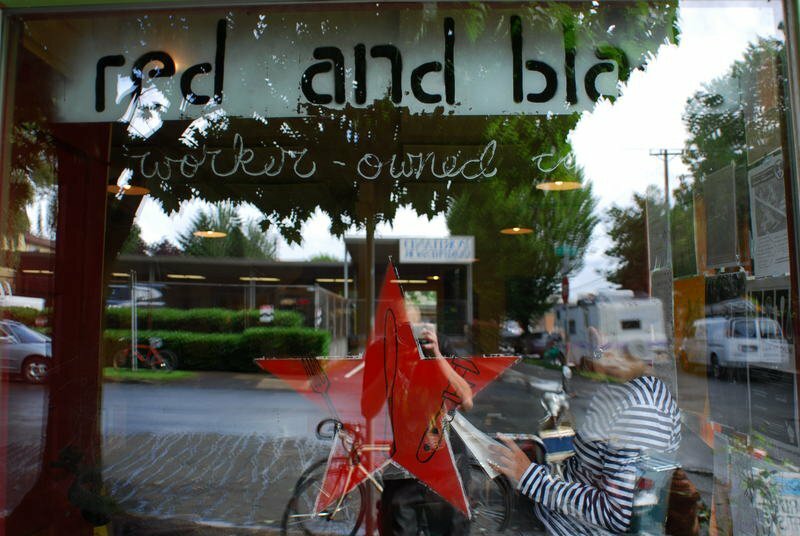 A vegan cafe in Portland, Oregon. Credit: Demotix. Social responsibility and sustainability. Sentimentality and smugness. Throughout the boom in its popularity over the past decade, the term “veganism” has gained polemical associations. Wherever one stands in this debate, it is unavoidably true that our daily choice of which foods to eat, clothes to wear, and products to use have ethical implications for which we are accountable. Veganism, the choice to avoid the consumption and use of all animal-derived products, is often motivated by two beliefs. First, that non-human animals have a right to live free from human-inflicted control and harm. Second, that the benefits to human beings (at least in “economically developed” contexts such as Western Europe and North America) in producing and consuming animal products – primarily enjoyment and convenience – cannot possibly outweigh the costs to farmed animals of their lives, freedom and well-being. Likewise, environmental arguments in favour of veganism – that mass factory farming is destroying the environment – generally seem to send the same message: “its not worth it”. Within this utilitarian, cost-benefit analysis style of ethical framework, veganism is often seen as a vain attempt to chip away at market demand for animal products, dismantling the farming-industrial-complex one block of tofu at a time. There is some truth in this: many vegans do see their lifestyle choice solely as a strategy for achieving a concrete, measurable reduction in harmful farming practices, whether coming from an animal rights or environmentalist perspective. But while this grounded pragmatism is critical to the forward momentum of the movement, perhaps its centrality to the “point” of veganism has been overestimated and overstated. Indeed, while consequence-oriented ethical frameworks like this may “get the job done”, they consider the motivations behind our choices to be incidental. If, hypothetically speaking, we knew that our actions could never lead to concrete change, that they could never make a “real” difference, would we not still feel compelled to act? This then raises the important question: what counts as “real” to us? Do we see our motivations as being as meaningful as our actions and their consequences? And if so, is it possible to imagine an ethics that is equally as concerned with the means of creating change as the end? A strategy that is, in itself, radically transformative? This is where an ethics of compassion comes in. In a society rife with injustice and suffering in need of immediate, practical attention -- a society that privileges “rational”, ends-driven pragmatism -- a politics of compassion may seem naive, sentimental or to be totally missing the point. Add to this that animal rights are often scoffed at as a low priority in terms of social justice, and a vegan ethics of compassion – choosing to abstain from animal products as an act of devotion and solidarity, a symbolic refusal of complicity – has the odds stacked against it as a candidate for the next, most widely respected social movement. In the struggle against this tide of cynicism, the radically transformative potential of compassion is often over-looked and left unexplored. Contrasted against a utilitarian ethics of the greatest good for the greatest number, in which the ends justify the means, an ethics of compassion requires us to see the means and the ends as inseparable parts of a whole picture in which we are wholly accountable not only for our actions and their consequences, but for our intentions and their motivations. Radical strategies of resistance have never been solely concerned with measurable, concrete outcomes as the the primary goal of social action. The nature of radicalism is such that the issues tackled are often so deeply entrenched that there is little hope for material change in the foreseeable future. The alternative is a prefigurative politics – essentially “being the change” you want to see in the world, not just in the hope of influencing others to follow suit, but as a way of honouring a belief in the inherent value of our motivations and actions in and of themselves; a belief in our own individual power, significance and accountability. It is here, in this radical accountability, that the artificiality of the divide between social and personal change is revealed. Via the exercise of empathy, compassion already involves blurring the line between self and other, in choosing to treat others as we would wish to be ourselves treated. In focusing solely on our own personal development, we fall prey to individualism, while focusing on external, social change alone can devalue the importance, meaning and power of our individual choices. An ethics of compassion offers an alternative: a unified perspective in which personal and social transformation are inseparable, and where individual and collective meaning are mutually interdependent. What's more, an ethics of compassion offers the opportunity to give, as a free gift, our compassion, empathy and solidarity, without the need for reciprocity, reward, punishment or judgement. Unfortunately, however, we live in a society that is highly suspicious, even scornful or disbelieving, of free gifts. And understandably so: capitalist logics alienate us from interpersonal exchanges that do not involve a contract of some kind and, within this system, entertaining the notion of giving freely exposes us to exploitation. This is a sad reality, given that our desire to freely and safely give and receive compassion seems to be engrained in our very natures, and is just barely concealed by the veneer of “logical” ethical justifications we concoct to cover our simple desire to contribute to the well-being of others. This is not to say, however, that those “logical” pragmatic strategies are of no value, but rather that a compassion-focused approach can achieve what those strategies set out to achieve, and more. Indeed, this approach does not preclude us from taking practical steps to limit the negative impacts of the meat industry on the well-being of both animals and the environment. Rather, it allows us to carry out these steps with greater integrity, by imbuing them with a sense of meaning lacking in solely consequentialist approaches. Isn't it, after all, our capacity to make ethical, compassionate choices that is supposed to distinguish us from other animals? Ultimately, an ethics of compassion reveals that it is not just the rights and well-being of animals, the environment or anything else subjected to exploitation that are at stake in our ethical choices, but the extent to which we honour our own humanity.